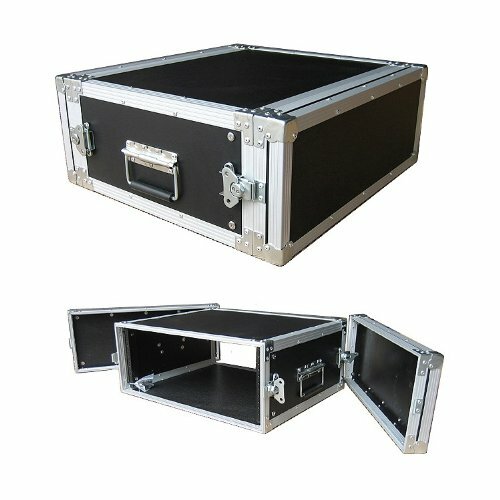 This ATA rack case is constructed of 1/4 Inch thick plywood with a hard black laminate exterior and totally surrounded with aluminum extrusion which is permanently machine riveted together. It is finished with surface twist catches, 1 surface mounted handle on front lid and flat steel corners. The case also has threaded front rails for mounting standard 19 inch rack mountable equipment.